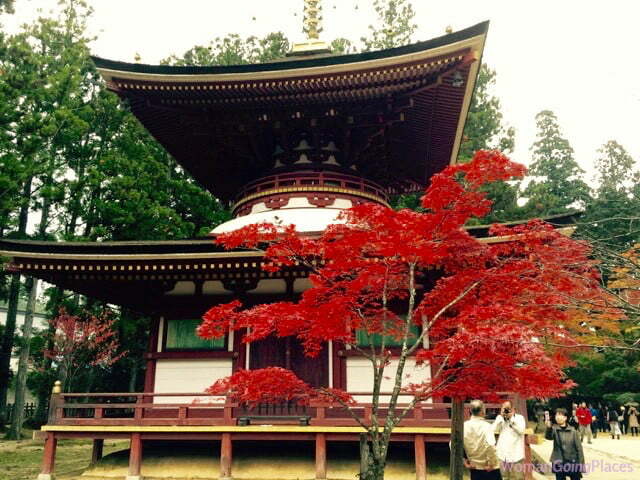 WomanGoingPlaces chose to go to Japan in autumn in order to see the beauty of the autumn leaves. The autumn in Japan came later than expected this year. But we did see spectacular foliage in November. This continues into early December, although the weather is increasingly cold. The leaves turn earlier in Hokkaido, the colder northern island, than in the southern islands. Spring in Japan is a very popular time to visit because of the beauty of the cherry blossoms. Japanese and tourists flock to the parks and gardens at this time in particular to see the magnificent display of delicate pink, rose and white blooms massed along the avenues. However, the actual blooming is unpredictable and can occur sooner or later than expected depending on weather patterns. It is also very brief. So it is hard to time your trip with any certainly of seeing blossom. You will have better luck with autumn foliage. Summer in Japan can be uncomfortable for touring. June to the end of September is rainy, hot, and humid. In addition, this is the worst part of typhoon season. In winter, Japan’s ski resorts come to the fore. They are increasingly popular for those wanting to go in winter. In Hokkaido, there is the added attraction of the snow and ice sculptures of the Sapporo Snow Festival that takes place in Hokkaido’s capital every February. View our video below to see the spectacular, blazing colours of autumn leaves in Japan.